Quickly and easily set the brightness level of your LED lights. You can configure up to 3 user configurable brightness levels plus full power, for a total of up to 4 different brightness levels. See Related Products section below to see all compatible lights that are certified to work with this dimmer. LED lights are super bright...but a lot of times, that can be a problem. They are typically only either all on or all off making them less usable as they are typically too blinding to be used in many applications at full strength. But what if you could dim them, quickly and easily, to one of 4 different brightness levels? And what if you could determine the brightness level of 3 of those 4 presets? The number of different brightness levels depends on the type of switch you use (no switch is provided, but you can add your own depending on your specific mounting location and needs that you can get at your local auto parts store or RadioShack). If a two position switch is used, you can have two programmable brightness settings, plus the full power high beam override setting, for a total of 3 brightness levels. Having four brightness levels requires using a single pole double throw switch. 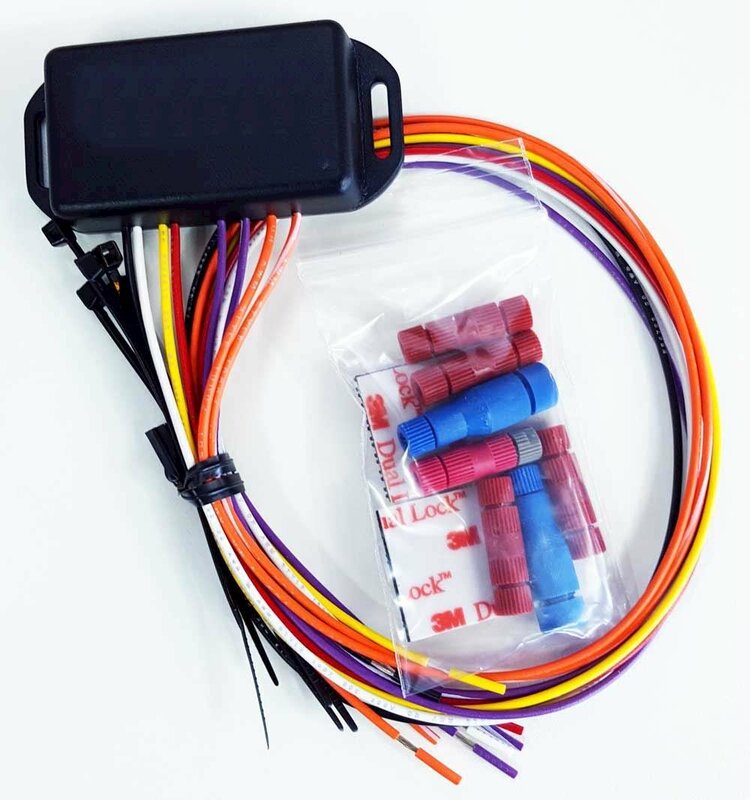 The switch controls the three, user programmable, brightness levels while the supplied relay trigger wire is tied into your high beams to provide the 100% override when you put your high beams on. When configured for Driving Light mode, activating your high beams will override your auxillary lights' current brightness level to force them to be at full power. When configured for Fog Light mode, activating your high beams will turn off your auxillary lights all together. Whether you are in driving light or fog light mode is a user programmable setting. Full wiring diagram and programming instructions are included. Only guaranteed to work with our LED lights! 3" x 3" LED Light Pod with CREE LEDs that put out 1,600 lumens. Comes in a Hyper-Spot or Flood beam patterns, choose below.